Nate Metzger with wife, Sarah (Photo courtesy of Nate Metzger). In sports or any of life’s pursuits, we can become wrapped up in the temporary goals and victories. We begin to make a lasting impact when we live intentionally, treating all of our actions as an investment in our relationship with God and our eternal life with Him. That is the lesson Nate Metzger had imparted on his life from an early age, and one he’s now passing on to young men as an assistant baseball coach at Wright State University in Dayton, Ohio. Metzger grew up in Greenville, Ill, 45 minutes east of St. Louis and Busch Stadium. The oldest of two boys, Metzger says that even though his parents were divorced when he was young, he had an active and positive relationship with both parents, who instilled the importance of faith in his life. In 1984, a 12-year old Metzger, along with his dad and brother, built a full-size baseball field with a dirt infield in their dad’s backyard. This was before the movie “Field of Dreams” had been released. It was while playing at Greenville College, a liberal arts Christian school in his hometown, when Metzger began to build relationships that would form the foundation for his coaching career. Metzger was recruited and coached at Greenville by David Altopp, a 2009 inductee into the American Baseball Coaches Hall of Fame. Altopp coached collegiately for 35 years, including 16 at Greenville, and has served the ABCA in many capacities, including president. He is currently on its board of directors and Ethics in Coaching committee. Another influence on Metzger was Robert “Ish” Smith, who preceded Altopp as head coach at Greenville. Smith is the individual most credited for baseball becoming an Olympic sport, which was announced in 1986, and a recipient of the Olympic Order from the International Olympic Committee. Accordingly, Metzger looks to Phillipians 2:3-4 to guide his conduct in coaching, and in life. Prior to his current job as assistant coach at Wright State, Metzger spent 10 years (2006-16) as the athletic director and head baseball coach at Heartland Community College in Illinois. One of Metzger’s tasks at Heartland was to establish the athletics department, beginning in 2006. “I walked in on the first day looking for something to do, and when I went to pull out the filing cabinet for officials, not only was there no list of officials, there was no filing cabinet,” Metzger remembered. “We spent my first year there putting the athletics department in place, which included hiring all of the coaches. Administrative changes began at Heartland following Astroth’s retirement in 2010, and in 2016, Metzger felt it was time to move on. Without his next landing spot already lined up, Metzger needed God to show up in a very tangible way. 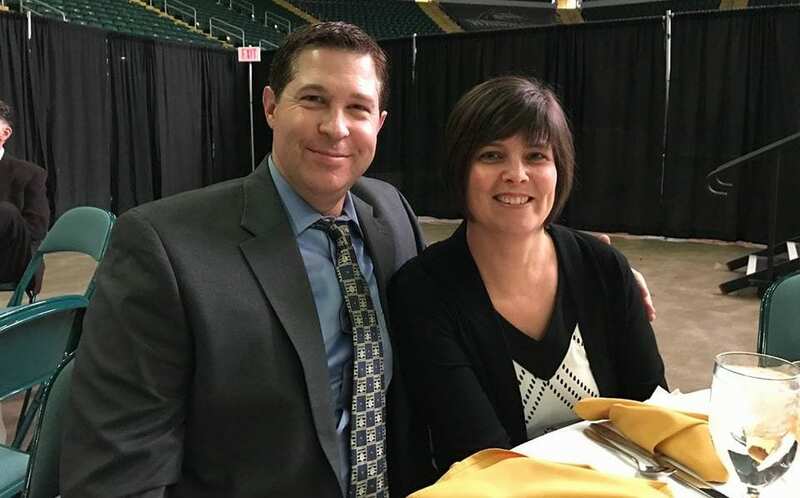 While at Heartland, Metzger built a relationship with Greg Lovelady, who was on the coaching staff at Wright State for 12 years, including the last three as head coach in 2014-16. 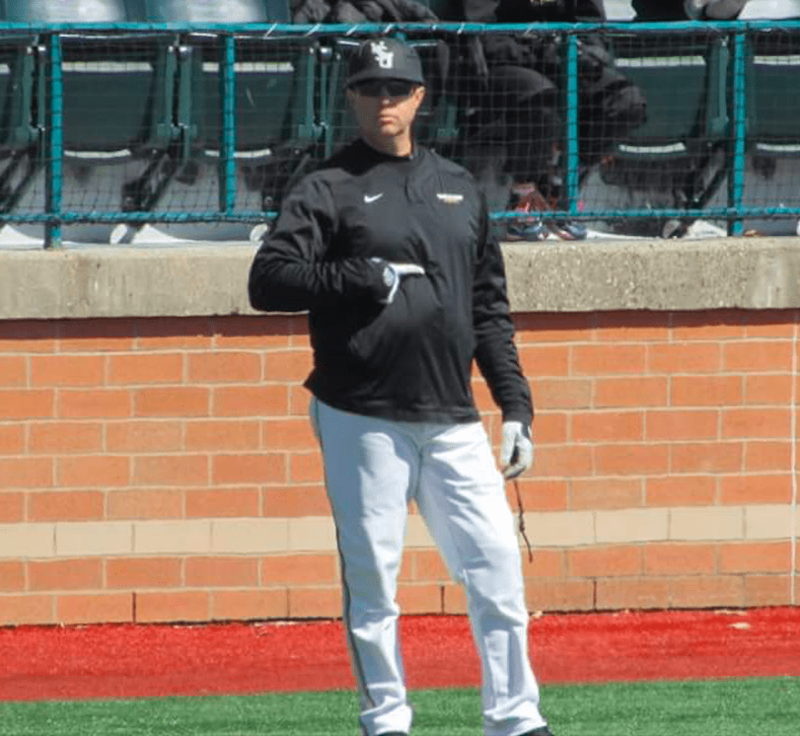 After leading Wright State to back-to-back NCAA regional tournaments in 2015 and ’16, Lovelady accepted the head coach position at the University of Central Florida (NCAA Div. 1, American Athletic Conference). Jeff Mercer, an assistant under Lovelady at Wright State (NCAA Div. 1, Horizon League), was elevated to head coach. “Our talks changed from Greg checking in to see what I had going on to him telling me, ‘By the way, I just got offered at UCF, and I told (Jeff) Mercer that you are the guy he wants to bring in to join his staff,’” Metzger said. “It can be a tough and challenging lesson, really accepting that it’s not our plan but His. It can be tough to grasp; it’s natural to want control, but we have to relinquish that control and let God work,” he said. Metzger was hired in July 2016 as assistant coach and recruiting coordinator for Wright State baseball. His coaching duties include coaching the catchers and assist the offense, as well as helping Mercer with administrative duties. Metzger acknowledges that there is a balance between baseball and faith when coaching collegiate athletics. A large part of being a witness, for Metzger, is molding young men into leaders by example. “Sometimes when we think about being a leader, we think outward,” he says. “To me, it’s more inward. We must hold ourselves accountable first and then others around us. “Leadership starts with a boldness within. It’s not spoken; it’s toughness within. You have to have direction to say, ‘We have a plan and we’re going to lay it out,’” Metzger said. Metzger says it’s a similar concept when it comes to faith and a relationship with God. Metzger attends Bible study every Monday night through Bible Study Fellowship International. Wright State athletics is also connected with Athletes In Action. It is that realization that gives Metzger a greater perspective about his work. “If I leave baseball tomorrow, the game will go on,” Metzger said. “None of us are truly that important. It’s not wrong to aspire to win, and it’s great to graduate players, but if that’s the end goal, we’re missing the point. I have served my purpose if I have made an impact on the players I come into contact with and helped them grow as Godly men. Metzger lives in Beavercreek, Ohio, 10 minutes north of Dayton and the Wright State campus. 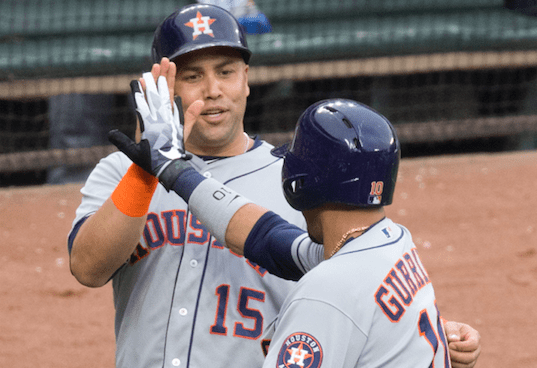 He and his wife, Sarah, have been married for 21 years, and have two daughters: 13-year-old Shelby Maddox was given her middle name in honor of Hall of Fame pitcher Greg Maddux, and 11-year-old Morgan Aaron was named for Hall of Famer Hank Aaron.